Add some glamour to your outfits this season with the Lotus Abello caged peep-toe shoe. The black shimmer upper features laser cut detailing and diamanté trim. 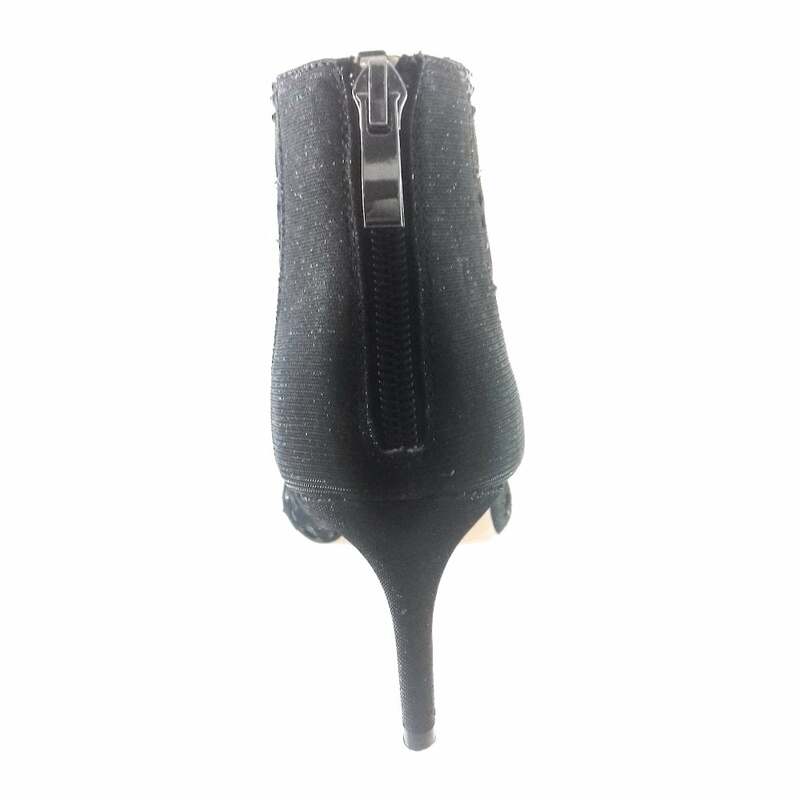 A zip fastening heel allows easy on and off. Wear with anything from skinny jeans to dresses.